“Safe boating is no accident”. A very appropriate saying and words to live by. Boaters by nature are typically cautious and prepared. Every minute you are aboard, safety needs to be your priority as it is essential to your boating enjoyment. The USCG (as do most government maritime authorities) enforces minimum safety requirements. As the owner of your trawler it is your responsibility to make sure you have all of the necessary safety equipment and are current with expiration dates on items like flares and fire extinguishers. Life jackets (PFD’s) must be USCG approved. When you are boarded, remember that the USCG officer has the discretion to send you back to shore if your safety items are incomplete. We create a JMYS Safety Gear inventory/location document for our clients. This list is something we think every boater should develop so that you not only confirm you have the minimum safety gear required, but also know the location aboard where these items are stowed. Our safety gear list is based on the minimums for boats over 40’ (whether our client owns a trawler over 40’ long or not) and also includes some additional safety related information. 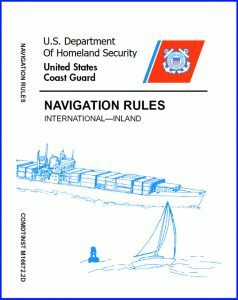 Your safety gear list should be kept in your ships papers documents binder, ready to produce if you are boarded by the USCG for an inspection. A sample of the JMYS Safety Gear blank list is available here as a PDF download. 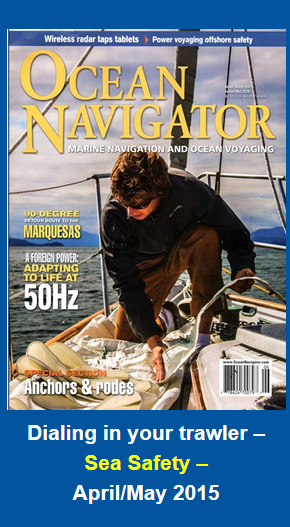 All boats over 40’ in length need to have a written “Trash Management Plan” that explains your procedure for accumulating garbage, who collects it and how you properly dispose of waste. This should be reviewed with all guests and crew aboard. 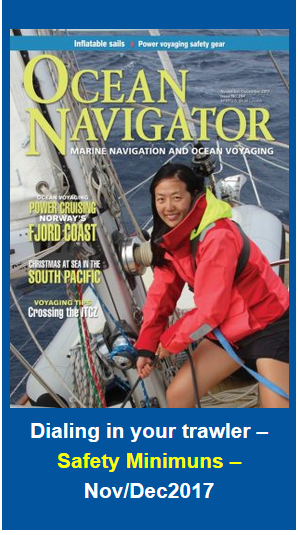 A signed copy should be prepared and be readily available to the USCG when you are boarded. There are many trash/waste management plan examples available on the internet. A copy of the JMYS Trash Management Plan blank sample that you can fill in and use is available here. Each state that you operate your trawler in may have additional specific regulations that you need to comply with. State mandated Vessel Operator Card’s (boating licenses) are also becoming more common. We suggest you research what is mandated by the states whose waters you frequent. When you have your boat ready for adventure we also recommend that you schedule a courtesy examination with the US Coast Guard Auxiliary. You can normally set up an appointment with your local Coast Guard Auxiliary volunteer for a weekend inspection. Your vessel will be evaluated, and you will know if you are out of compliance without being issued a citation. If your vessel passes, you will be presented with a VSC decal to display. Here is a link for the USCG VSC (Vessel Safety Check). There is also a “virtual” safety check you can complete over the internet. Before you take off on a trip it is wise to inform family and friends about your intended course, destination and arrival plans. This simple practice is a safe guard to make sure that you have people ashore who are going to be concerned about your wellbeing if you don’t keep to your predicted schedule. 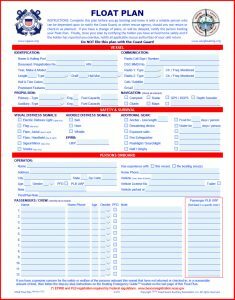 There is a Float Plan form that you can complete and send to your contacts (don’t send this to the USCG) by visiting this website, http://floatplancentral.cgaux.org/. We recommend that our clients become familiar with preparing float plans and develop a reliable shore-based contact crew as part of their travel planning routine. 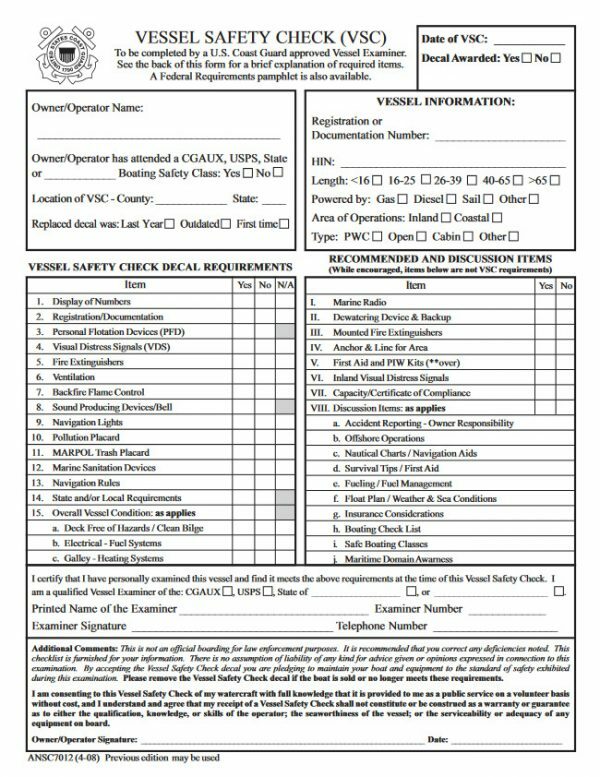 The USCG float plan form includes a smart pre-departure overview including a check list for safety gear, a list of passengers, travel waypoint itinerary, and expected departure / arrival and check-in times. Here is a link to the actual USCG Float Plan PDF document. On page three of the form there is a “Boating Emergency Guide” that your shore-based family and friends can follow to notify the USCG if you do not check in within a reasonable amount of time of your predicted arrival. Most trawlers have a tender and additional “toy” water craft to support the “mother ship”. Stand up paddleboards, kayaks and dinghies with outboards are quite common. There are safety rules for each of these water craft as well. Life jackets may seem to be an inconvenience or unfashionable when at play, but they can save lives. In addition to carrying the USCG minimums, your trawler should be equipped with some built in safety equipment such as a bilge pump system, an air horn and a VHF radio. Many trawlers also have fire suppression systems installed. Ground tackle – anchor, chain and windlass should be also viewed as an important safety feature. Propane systems should have leak sniffer alarms. Hot water heaters normally have anti-scalding features. As you go through your trawler look around to confirm what built in safety features you have make sure they are in good working order. Starting with the USCG requirements, there are a number of other items that we believe you should consider as smart safety gear to have aboard your trawler. We advise our clients to supplement the bare minimums with such items as; First aid kits, Sea Sickness Products, Defibrillators, EPIRBs, Life Rafts, Personal Locator Beacons, Life Slings, Immersion Suits, Ditch bags, Drag Devices, Paper charts, Carbon Monoxide / Smoke Alarms, Inflatable Harnesses and Tethers, Fire Blankets, Whistle/Strobe on Life Jackets, Floating Strobe attached to the Life Ring, etc. Since we travel all over the world on trawler business, we pay attention to what other countries demand. This is an interesting subject worth exploring as you will learn tips like that in South Africa you are required to have a metal bucket and in Canada you need to carry an axe. Most of us have an auto club AAA membership so that if we get into a problem with our vehicle we can pull over to the side of the road and call for help. We advise our clients to join a vessel towing service as precautionary hedge in the event of a mishap. Towing service membership is not inexpensive; however, it is a bargain when you need it. It is worth looking into the cost of a hiring a towing service just for a reality check – you will be surprised how quickly the costs for a non-member tow back to safe harbor can skyrocket in price. The first piece is called “Sea Safety” and was featured in the April/May 2015 issue. The second article was called “Safety Minimums” from the November/December 2017 issue. This safety subject is potentially controversial, but we want to at least mention that fire arms, knives, bear spray, wasp repellent and other defensive tools to ward off intruders and protect your family is one more important safety area for you to review. This is such a personal choice that we don’t make any recommendations except to make sure that if you carry any of these items be aware of the different legal restrictions in different states and countries. Here’s a related “it’s amusing now, well after the fact” true story. During his Nordhavn career, one of Jeff’s clients sent him a photo of some Russian ammunition found behind a bulkhead that was discovered years after the purchase while doing some remodeling. The photo was accompanied by a request to contact the previous owner to inquire if any other such unknown caches remained aboard. The trawler in question had been in and out of several countries, completely clueless to the fact that they were harboring illegal weaponry. The response was well written and indicated no knowledge of any such armaments and went on to say that “in theory” if you hired a captain to deliver a boat and told them to dispose of these bullets in these areas when in deep water, then you would certainly expect the captain to have done so. This was, of course, a cleverly worded map of where to look. Just a word of caution that when you do buy a used trawler it is important to look it over thoroughly and ask telling questions.